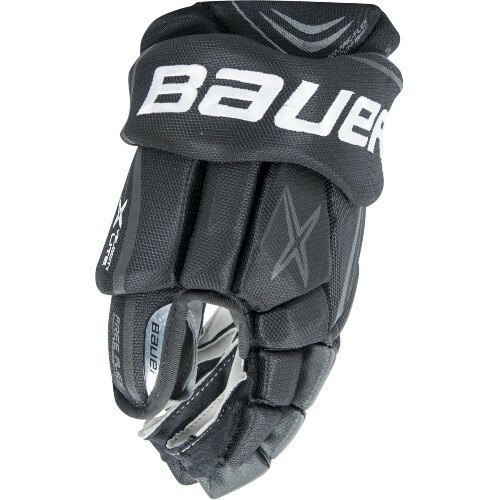 The new Bauer X Velocity Lite Glove has arrived. These gloves are based off of the X800 Lite model, adding some key advancements to make for some very intriguing gloves. The X Velocity Lite features a tapered fit with dual density foam poly inserts located in the backhand and finger regions. The glove also utilizes a 3-piece index finger, a pinky side wart, and the poly knit palm taken straight from the X900 Lite glove. Having components from the X800 and X900 Lite models, the X Velocity Lite is the epitome of a top end hybrid glove.